Before the Tour de France, Mark Cavendish identified four stages in the first week that he felt he could win. Sunday’s sprint went to Thor Hushovd, Cavendish was 27th and admitted that he felt tired on the run-in. Mark Cavendish was the centre of attention at the start and Team Columbia’s PR staff escorted him along a line of television interviewers. He looked relaxed, a far cry from the edgy young man of 12 months ago. Hansen told us more about his support role for team-mate Cavendish in an interview this morning. Cavendish tried to rest up on Tuesday and recover as much as possible for the stage to Chateauroux and the other flat stages where he has a great chance of victory. After finishing the time trial he talked at length with the Columbia mechanics about his time trial position and set up of his bike, making sure they got things just right. 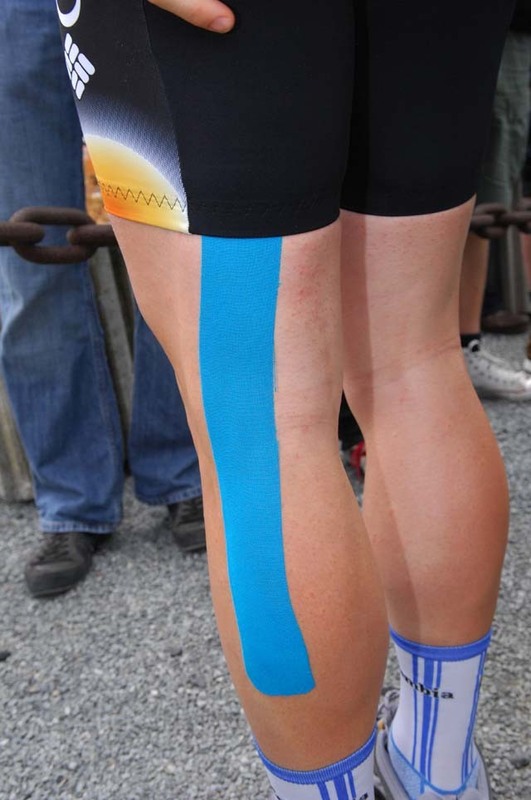 Cavendish has been using coloured muscle adhesive taping on his legs to prevent any major problems because of the heavy workload on his muscles. ?It was a hard time trial, It was windy and up and down and so I couldn?t relax too much but it was okay,? he told Cycling Weekly after warming down. ?I used the tape strapping because I?m a bit stiff and because I?m putting strain on muscles I don?t usually do. Although the early stages of the Tour are classified as flat days, we?ve actually done 2,600 metres of climbing and so my muscles have been getting a bit sore. Tape helps correct them, keep things in check and makes sure I?m good for the sprints when I need to be. ?